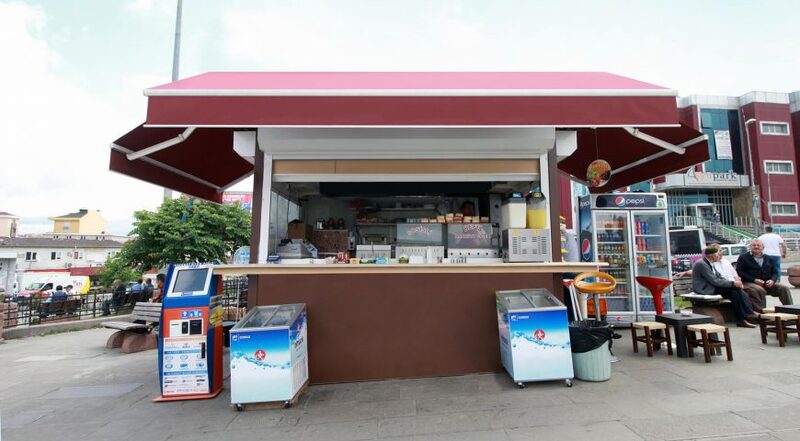 Due to the water-resistant property of fibercement used in the inner and outer coatings of Hebo City sales booths, no deformation of the materials occur over time. 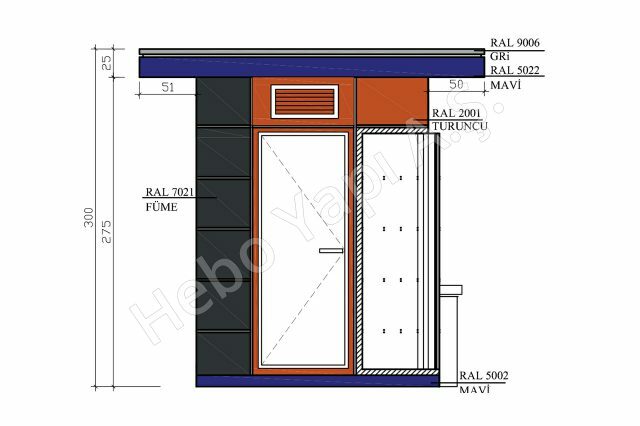 Due to the cement-based nature of fibercement is that it is absolutely impossible to encounter the problems of hosting pests in Hebo City cabins, which are the biggest problems of the majority of other modular structures. 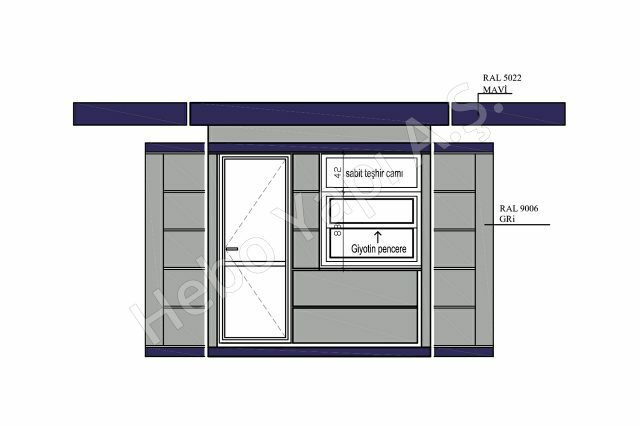 Another advantage of Hebo City Cabins, at least as important as the above advantages, is that it absolutely does not contain any asbests which is harmful to human health. The materials used are completely healthy. 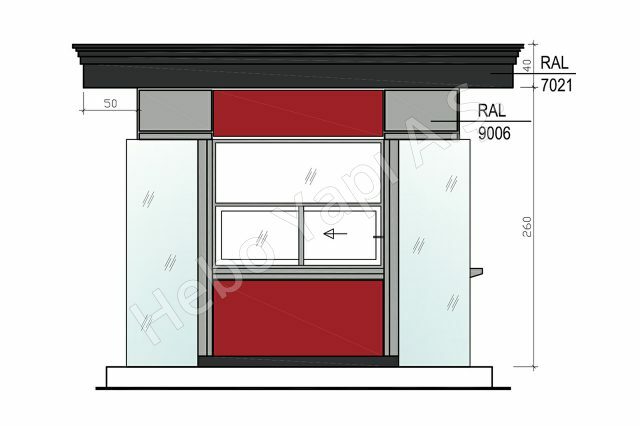 Thanks to all these features, Hebo City sales booths offer versatile and safe operation. Furthermore, Hebo City sales booths, which are solved with steel carcass and Hekim Sandwich Panel system details, are preferred especially for mobile use due to their properties of easy transportation, light weight, easy cleaning etc. In the cabins used for sales purposes, alternative solutions for aesthetic facades are created with HekimBoard fibercement surface coating material. The Hebo City sales booths offer multi-functional solutions in small interior spaces, allowing the user to design the most convenient areas for the project. Applications for different uses are also available outside of standard sizes. 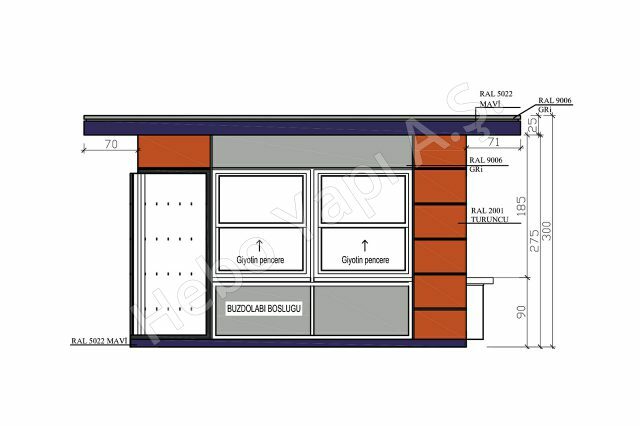 Ticket sales counters, buffets, public bakery sales booths, parking payment counters, etc. are some examples of applications.